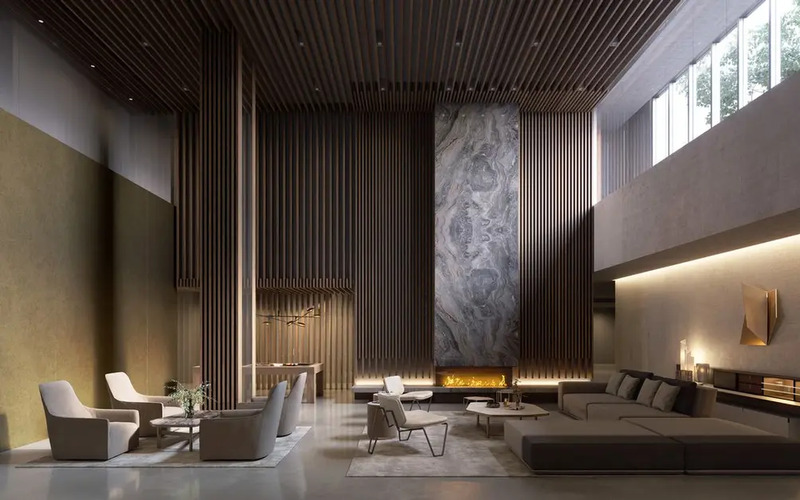 In the wake of their success at Park Slope's 251 First, developers Adam America, Slate Property Group and Vanke have teamed up with ODA again for 10 Nevins Street, also known as The Brooklyn Grove. 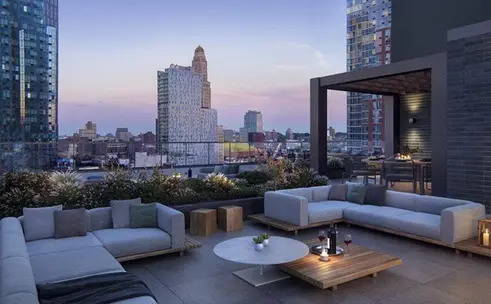 The 27-story condominium in the heart of Downtown Brooklyn will have 2,600 square feet of retail space on the ground floor and 184 condos on top, where sales have just launched. A construction photo on Adam America's Instagram shows the building is now topped out, and Curbed reveals that completion is estimated for spring 2019. 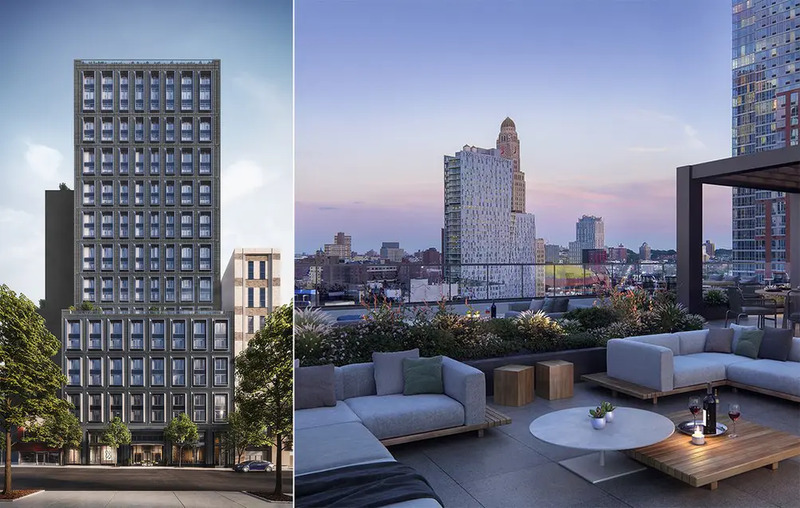 Recent renderings show a more subtle approach to the design, especially when compared to ODA's previous work, which includes the cantilevered 100 Norfolk, O-shaped 10 Monteith Street, and the mammoth-sized 420 Kent Avenue. 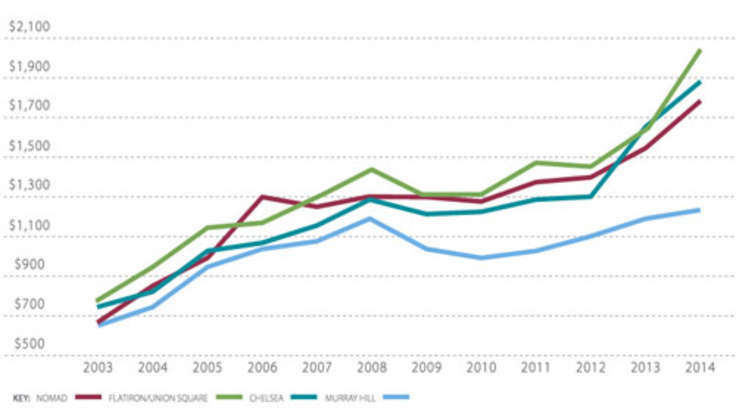 Prices range from $580K for a studio to $2.5 million for a three-bedroom. 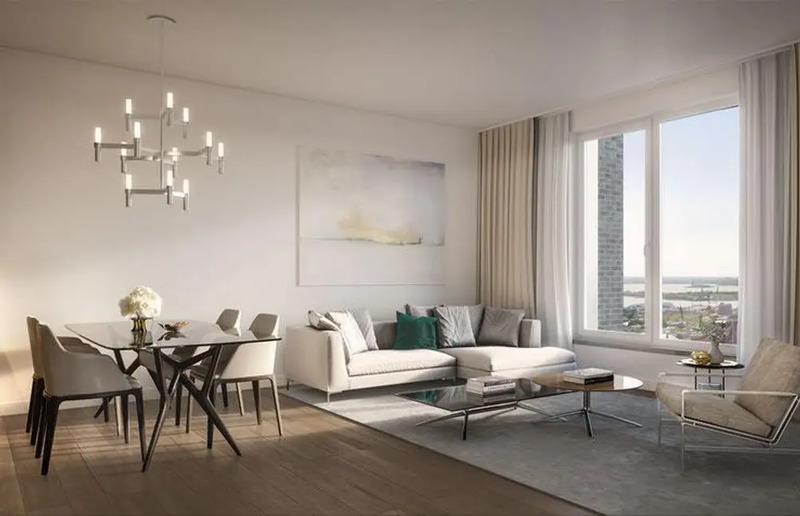 All apartments feature ODA-designed interiors rich in organic materials and lush textures, oversized, double-glazed windows, and prewiring for cable and internet. 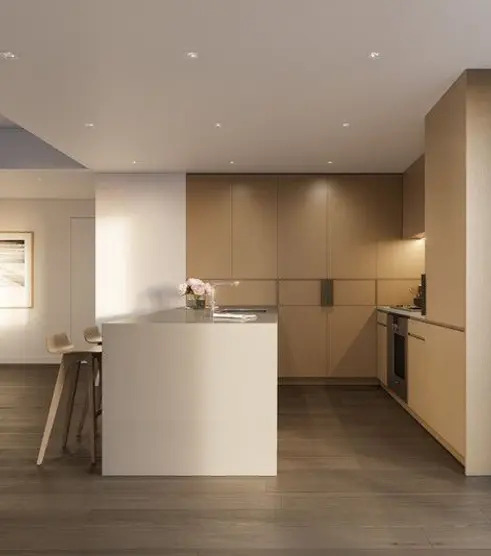 Well-appointed chef's kitchens come with Caesarstone countertops, custom rift oak cabinetry, antique brass hardware, and, for select units, island with wine refrigerator. 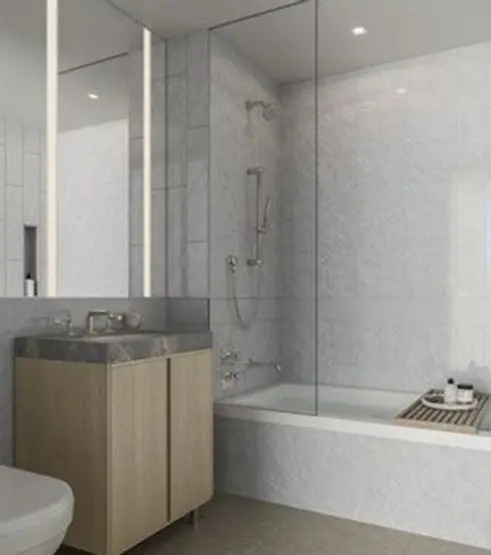 Spa-like master baths have two types of marble, Waterworks fixtures, and oak vanities. 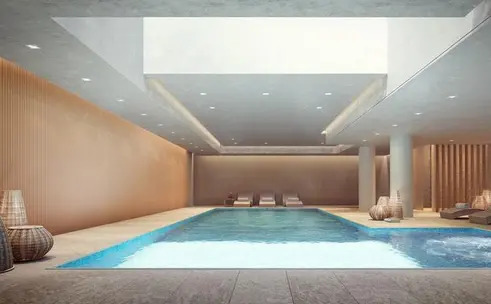 Plans filed with the city indicate that amenities will include storage, laundry room, lounge, children’s playroom, fitness center with yoga studio, pet spa, party room, and 40' swimming pool with deck area. The building will be topped with an outdoor roof deck. The Brooklyn Grove will have a bike room and is conveniently located across the street from the Nevins Avenue subway station and within a few blocks of three others. It is also three blocks from City Point, Brooklyn's largest shopping center and home to Trader Joe's and DeKalb Market Hall. Nearby cultural offerings include the Barclays Center, Brooklyn Academy of Music, and Mark Morris Dance Center.